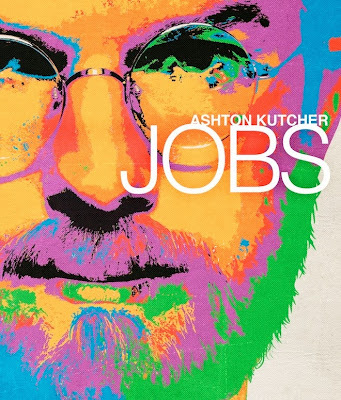 JOBS is the incredibly powerful and true story of the visionary who set out to change the world, and did. The film chronicles Steve Jobs transformation of character from the enthusiasm and self-discovery of his youth, to the personal demons that clouded his vision, and finally to the ultimate triumphs of his later life. Jobs changed the way we see the world today through his relentless drive, passion, persistence, and the force of his will, and it is through these qualities that we draw inspiration from his life. The life of Steve Jobs. I have to be honest with you. Before watching this movie, I knew little of Steve Jobs. I knew he created the Mac and all of the Apple products. I never knew how he got started or the story of his journey. This was a great movie to watch. I'm always very intrigued when it comes to movies that are based on an actual person's life. Ashton Kutcher did an amazing job portraying Steve Jobs. I've never seen him play such an amazing role. He did great and nailed the character. After I was done watching the movie, I looked up interviews and presentations of Steve Jobs and saw similarities in facial expressions, the way he talked and so much more. Hands down a great movie for anyone who gets fascinated about learning about such an amazing person who thought ahead of his time. Jobs is now available for purchase on both Blu-ray and DVD! Disclosure: All opinions are my own. I received Jobs on blu-ray/DVD combo at no cost for the purpose of this review. No other compensation was received.